Wesley D. Peterman is originally from Smithville but made a name for himself and his Indians basketball and baseball teams at Rittman. He earned three letters each in basketball and baseball between 1941 and 1945 at Smithville High School. In his senior year he was chosen All Wayne County and All-Sectional guard in basketball. After high school Peterman went into the U.S. Navy where he also played baseball and basketball. In 1946, he started his college career at Ashland College and continued to excel in sports. He played baseball all four years and also lettered in basketball. The Americus Rebels of Americus, Georgia thought he was good enough at that time to play professional baseball and invited him to a tryout for their team. Peterman chose to stay in education, however and came to Rittman High in 1952. This was good enough to earn five Wayne County League Championships and one Regional Championship with a berth in the State playoffs in 1966. His 1965-66 team had a record of 25-1, the best in the history of Rittman High. Peterman started baseball at Rittman. 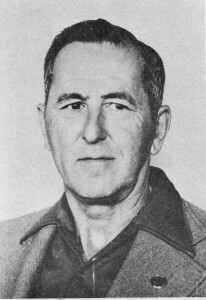 In 15 years as head coach, his teams won 136 and lost 124 and gained one League Championship. Peterman has been a winner as a player, as a coach, and as an educator. His personal attributes have had a positive effect on all who have come in contact with him. He has been recognized by the Ohio High School Basketball Coaches Association with an honorary membership and was honored by the OHSAA with a meritorious sward for 25 years as a basketball official. In 1973 the Akron Beacon Journal named him Wayne County Coach of the Year.